A Venice Simplon-Orient-Express journey is an experience of the extra-ordinary. Since this most famous of trains made its maiden journey from Paris to Istanbul in 1883 it has been synonymous with luxury travel. Throughout its history, the Orient Express Train Service had been the luxurious transport of aristocrats, royalty, spies, film stars and writers, as well as, of course the famous Hercule Poirot and now it's your chance to make this illustrious journey. There is no more memorable an experience for you than seeing the train for the first time. You may be at London's Victoria Station, boarding the umber and cream carriages of Belmond British Pullman or at Calais, Paris or Venice getting your first glimpse of the blue and gold carriages of the Venice Simplon-Orient-Express. This memory will stay with you for a lifetime. 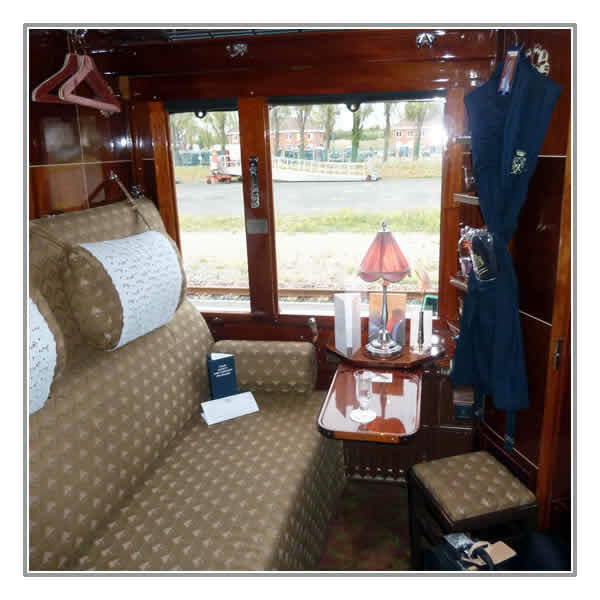 As you climb on board the original Orient Express train service carriages, you step back into a more congenial and elegant era. Today, the enchantment and romance lives on, and, in an age that too often reduces travel to the speed and efficiency of getting you to your destination, the experience of this journey is more alluring than ever. 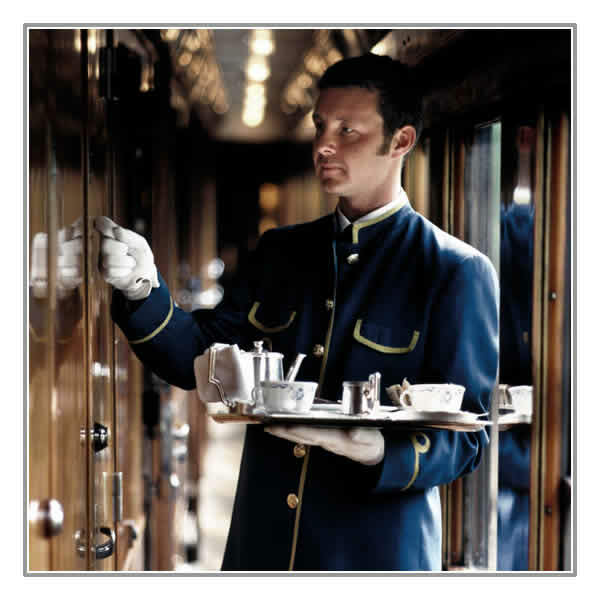 The Belmond Venice Simplon-Orient-Express is distinctive down to the smallest detail. The train is composed of original 1920s and 30s European carriages, painstakingly and lovingly restored to their original elegance and grandeur. They boast exquisite marquetry panels and designs by artists of the art deco movement, including René Laliqué. Travelling in your private compartment, you are attended to by your Cabin Steward throughout the journey, and are assured of attentive yet discreet service. Your compartment has its own original washbasin cabinet with hot and cold water, and at night-time it becomes a comfortable bedroom, complete with soft towels and crisp linen. Please note that as of 2017, all cabins and public areas on the train are now air-conditioned. Twin Cabin - During the day your Cabin is a comfortable lounge with a large sofa, a footstool and a small fold-out table. Elegantly hidden away in its own cabinet is a washbasin with hot and cold water, together with luxurious fluffy towels. Whilst you enjoy a sumptuous dinner in the one of the dining cars and drinks in the Bar Car, your compartment will be converted by your cabin steward from daytime seating to cosy, upper and lower sleeping berths with crisp white linen. Bathrobes, slippers and luxury amenities by Temple Spa are provided. Cabin Suite - For added comfort, your Cabin Suite, is made up of two interconnecting Twin Cabins, and you have the option of have tow lower berths at night, or using one cabin for day-time use whilst keeping the other for night-time. Grand Suite - Launched in 2018 are three new suites which will offer you a new level of luxury on the world's most famous train. Each comprises of a double/twin bedroom, a generous living area with room for private dining and a sofa which can be converted into an additional child's bed in the evening. Your private en-suite bathroom includes shower, washbasin and toilet, plus bespoke amenities and complimentary designer bathrobes. For further details see 'Grand Suites'. The service is perfectly in keeping with the setting. Once your journey starts, settle into your private cabin and watch Europe's finest scenery gliding by. 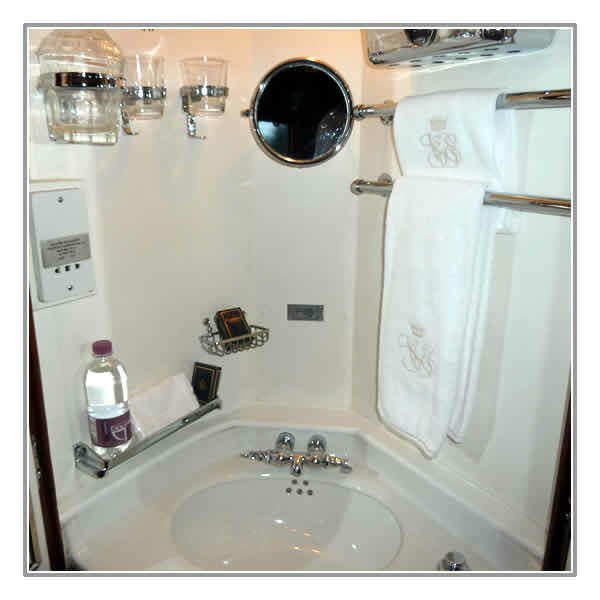 Whilst on board, you will have a personal steward, who will show you to your compartment of polished brass, gleaming inlaid wood, crisp linen and soft towels. He will show you how everything works in your compartment and how to call him if you need further assistance at any time during the journey. Your comfortable compartment provides a restful oasis, offering panoramic views of the ever changing landscape. Most passengers leave their cabin doors open during the day, in order to view the scenery on both sides of the train as it passes by and to chat to other passengers as they walk along the corridor and this leads to quite a 'community' atmosphere on board. Later in the afternoon, tea with cakes and pastries is served in your cabin by your cabin steward, after which it's time to start getting ready for dinner. Dressing for the occasion is all part of the experience and our guide is that you can never be overdressed on board the Venice Simplon-Orient-Express. The tone of the evening is set with a visit to the Bar Car, famous for its delicious cocktails and welcoming atmosphere, it is the heart of the train. Try the "Guilty 12", a cocktail created by Walter, the bar man, containing 12 mystery ingredients and inspired by the novel "Murder on the Orient Express". It is truly a unique, intimate and stylish experience that resounds to the voices of royalty, heads of state and celebrities such as Gregory Peck, Alan Whicker and Cher. Enjoy a few pre-dinner cocktails here whilst mingling with fellow travellers and soak in the atmosphere of this once-in-a-lifetime experience. Then on to one of the three beautifully restored 1920s art deco restaurant cars - L' Oriental decorated in black lacquer, Etoile du Nord with its beautiful marquetry, and Côte d'Azur, featuring its stunning Lalique glass panels. Softly muted lighting enhances the mood while fine linen, French silverware and heavy crystal invite you to prepare for a meal to remember. In the dining cars, the attention to detail is breathtaking: the linen, the silverware and the crystal glassware are all alluring parts of the experience. The overall result is a beguiling evocation of the golden age of travel. Yet, like all true classics, it transcends its historical origins and feels utterly fresh and contemporary. At this level, luxury is timeless. Meals on board are an unforgettable delight. All dishes are freshly prepared on board by French chefs, with the finest supplies taken on board during the train's journey. Brunch, lunch and dinner are served in one of the three individually designed Restaurant Cars with service provided by attentive Italian waiters. Breakfast and afternoon tea are served in your compartment by your cabin steward. The train now visits some of Europe's most evocative destinations. The traditional route between London, Paris, Verona and Venice (or vice versa) is now complimented by departures from Venice to the exciting cities of Vienna, Prague and Budapest as well as once-yearly journeys from London to Berlin and back. For the most discerning of travellers, the Venice Simplon-Orient-Express invites you to embark on its annual, very special departure from Paris to Istanbul, re-creating the original journey of 1883 on this six-day extravaganza. The sheer romance of the on-board experience is entirely undiminished. Enjoy the uncompromising luxury of the authentic period carriages, and the finest quality of service, amid some of the most beautiful scenery in Europe on board this beautiful luxury train. A variety of journeys is available, which can be taken individually or as a centre piece to a European holiday. Choose to travel on the train and make your own arrangements, or let us indulge you with an inclusive holiday that incorporates flights, luxury hotels and transfers in exciting cities, such as Venice, Paris, Vienna, Prague, Budapest, Istanbul and recently introduced Berlin. We can tailor-make a luxury holiday to your specification. Whatever your destination, you can be sure of superb service, a veritable feast of sumptuous menus and perhaps, in the hectic world of the 21st century, a nostalgic reminder of a time when the journey was as important, if not more so, than the destination. Enjoy your time on board the Venice Simplon-Orient-Express. Please Note : A journey on board the Belmond Venice Simplon-Orient-Express is certainly not suitable for everyone - only those who yearn for the adventure of this unique experience of a bygone era. The carriages are the original 1920 - 1930s carriages and although they have been beautifully restored and regularly maintained, they have received very few modernisations (if you are travelling during the cooler months, you may well see your steward shovelling coal into the little boiler in each carriage in order to heat the radiator in your cabin). They were built in an era when travelling across Europe and sleeping on a train were a luxury in themselves. Passengers should note that the Twin Cabins and Cabin-Suites do not have private facilities, other than a wash-basin. However, please note that as of 2017, all cabins and public areas on the train will be air-conditioned. There is a w.c. at the end of each carriage. There are no laundry facilities on board the train. The train does now feature WiFi throughout, however guests are requested to switch their phones to silent whilst on board. Does the Venice Simplon-Orient-Express operate year round? No, the train operates from mid-March to early November. See our Timetables page for further information regarding travel dates. How much does it cost to go on the Venice Simplon-Orient-Express? The most popular route, London to Venice or vice versa starts at £2,450 per person in 2019. Fares can vary depending on availability and season. As a general rule your fare will be cheaper if you book earlier. As cabins are booked up and availability is limited, fares will increase. The most expensive routes are Paris to Istanbul and vice versa. In 2020 the fare based on a Twin Cabin starts at £15,000 per person. These fares include all meals on board. See our Fares page for full details of all fares. Where does the Venice Simplon-Orient-Express begin and end? The most popular and regular journeys on the VSOE are from London to Venice via Paris or vice versa. The longest journeys that it does is either from Paris to Istanbul or Istanbul to Paris and it does these journeys once each year. It also makes a couple of visits to Budapest, Vienna, Prague and an annual trip from London to Berlin and back during the year. What do you wear on the Venice Simplon-Orient-Express? During the day smart, casual dress is the norm. Jeans, shorts, T-shirts, trainers etc., are not acceptable. For dinner it's a different matter and, to be honest, it's hard to be over-dressed. Many of the gents will be in dinner suits (tuxedos) with black tie and ladies in cocktail or evening dresses. Minimum dress code in the evening is lounge suit and tie for men with smart attire for the ladies. Is there still an Orient Express train? Historically, there never was a single Orient Express train. The Orient Express was a service network that operated across Europe. The Venice Simplon-Orient-Express train that operates today is a single train, made up of restored carriages from the original 1920s Orient Express service. It operates on some of the original Orient Express routes, including the iconic Paris to Istanbul journey. Does the Venice Simplon-Orient-Express use the Channel Tunnel? The Venice Simplon-Orient-Express never uses the channel tunnel. For those guests that are travelling to or from London, the UK part of the journey is operated by the Belmond British Pullman (sister train to the VSOE). At Folkestone, you disembark and board luxury coaches which take you through the tunnel on Eurotunnel and you join the Venice Simplon-Orient-Express at Calais. How can I buy Venice Simplon Orient Express tickets? Call Luxury Trains on 0333 405 0192. Our experienced staff can help you book your ticket on one of these iconic luxury train journeys. We can also arrange the complete package of train, hotel, flight and transfers, tailored to your specifications.